Hamsa Devineni is an Indian politician belonging to BJP. 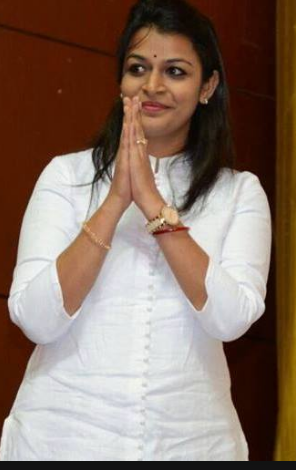 She has a burgeoning political profile in Andhra Pradesh in recent times. As the spokesperson of the state unit of BJP, she has decimated the anti – BJP propaganda of Chandrababu Naidu. She is articulate, humble and affable. Hamsa Devineni has been nominated by BJP for Anantpur Lok Sabha constituency. Narendra Modi has personally recommended her name as he was impressed with the oratory skills and vision of Hamsa. Whatever the result might be, Hamsa has entered into the league of young and aspiring politicians of India. Educational Qualification: Law graduate from Osmania University. She also holds Post Graduate diploma in Intellectual property. She has been a successful consultant on copyright and related issues. Relationship Status: There isn’t any information about the relationship status of Hamsa. We don’t know whether she is married or still a single.